[Tobias Kuhn] and a handful of colleagues at his workplace built Crystal Signal Pi, a Raspberry Pi based low-cost alternative for a notification device that provides visual, audio and network warnings about server problems. [Tobias] works for a Japanese company where it is critical for their servers to keep humming nicely all the time. Any emergencies or error conditions must be broadcast immediately so the technicians can fix it ASAP. Network enabled warning light stalks are used to provide these alerts. A local company produces a series of indicator and hazard warning lights which are colloquially called as Keiko-chan. These are similar to the hazard warning tower lights commonly fixed on machines on factory floors or many kinds of vehicles such as fork lifts. The Kieko-chans add a few bells and whistles making them more suitable for use in the server data centre — a Gigabit LAN port for wired networks and a USB port for WiFi modules. So, besides visual and audio warnings, it can also transmit messages over the network to alert the maintenance folks. Using this commercial solution should not have been a problem were it not for their rather hefty price tag of almost $500 per pop. So [Tobias] decided to build his own warning lights based around the Raspberry Pi. After two rounds of prototypes, a simple HAT was designed that could be plugged in to a Pi. Details of the hardware are sketchy, but it’s simple enough to figure out. The part list consists of a PLCC-6 style RGB LED, three transistors to drive the three LED pins, a voltage regulator with a couple of electrolytic capacitors and a large push button. A simple acrylic case, and an acrylic cylinder mounted on top of the RGB LED creates a nice edge lit effect for the indicator. The code for the Crystal Pi is hosted on Github, and includes handy scripts to make installation easy. Once installed, the Crystal Pi can be accessed and controlled either through a web-based GUI or via the API. There are some more interesting features already implemented or scheduled for later, so do check out the blog and the repository for more. Check out the video below to see the Crystal Pi in action. One of our chief complaints about the Raspberry Pi is it doesn’t have a lot of I/O. There are plenty of add ons, of course to expand the I/O capabilities. The actual Raspberry Pi foundation recently created the Sense Hat which adds a lot of features to a Pi, although they might not be the ones we would have picked. The boards were made for the AstroPi project (the project that allowed UK schools to run experiments in space). They don’t appear to be officially for sale to the public yet, but according to their site, they will be selling them soon. Update: Despite some pages on the Raspberry Pi site saying they aren’t out yet, they apparently are. Raspberry Pi founder [Eben Upton] recently sat in an uncomfortable chair in London to discuss all things Pi. Having sold about four million units over the last 2.5 years, he feels the future is bright for his original vision of inspiring and helping kids to learn programming. [Eben] is quite pleased with the Pi-Top, a B+ based laptop kit that’s pulling in backers left and right while completely unaffiliated with the Pi foundation. The kit includes a 13.3″ HD LCD screen, keyboard, trackpad, and an injection molded case, though you can print your own with the included STL files. Kits start at $249 without a Pi and $285 with a B+ included. Robot and home automation HATs are also available separately or bundled with the Pi-Top kit. The most exciting news is that the $600,000 spent on DSI connectors for those four million Raspis is about to pay off. [Eben] hopes that an official touchscreen will be available for purchase before the end of 2014 or in early 2015. He showed off a 7″ capacitive touch panel that will attach to a display board stacked on a Pi, effectively turning it into a tablet. [Eben] said that they will not be making a Model C and instead are working on revision A+. He hopes to make an official announcement in the near future. Finally, [Eben] discussed the importance of community, which played a large part in the birth and evolution of the Pi. He also spoke of Pi Academy, a sort of professional workshop for teachers in the UK who’ve recently been tasked with teaching computer science as demanded by changes in the mandatory UK school curriculum. He hopes that these 2-day seminars will help educators achieve the high expectations recently laid out for students to achieve by age ten. 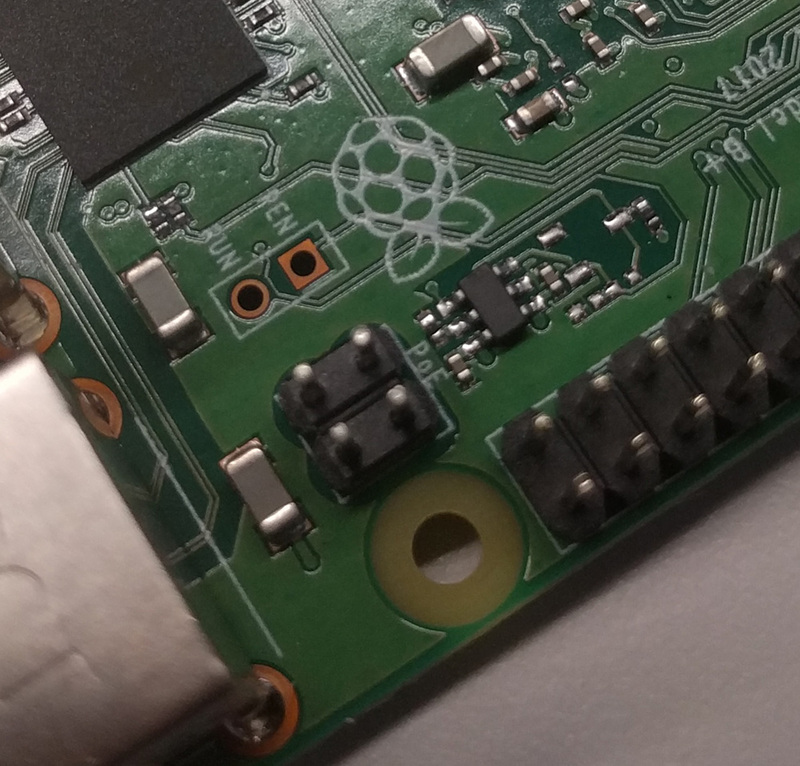 With the release of the Raspberry Pi B+ model comes a whole slew of extra GPIO connectors, a whopping 40 of them in fact — Almost double the original B model! A HAT stands for Hardware Attached on Top, and Adafruit is celebrating by trying to create a new hat, every day. A HAT is a rectangular board measuring 65x56mm with mounting holes for the Raspberry Pi B+ and a 40 pin GPIO header. That doesn’t sound too special by itself, but two of the header pins are reserved for a special auto-configuration system that allows your Pi to have automatic GPIO and driver setup! Now we’re talking! We’re excited to see more integrated projects with the B+ since it’s so much more friendly for add-on hardware than the original — What kind of hardware would you like to see in HAT form? Do you like the idea of HATs?